If you have not tried it yet, then I would suggest to give it a try right now. Make sure you have WP JetPack plugin installed and running. it will require you to connect to your WordPress.com account. Then from wp-admin > JetPack activate the JetPack Comments. I would also suggest you to activate the Subscription. The JetPack comment form, no doubt, looks better than most of the inbuilt comment forms. Personally I like the feature which requires the commentator to enter his/her name, emails etc, after she has typed a comment. This encourages visitors to comment. The layout looks simple, minimalist and elegant. Now, this might be a bit controversial. But, what I saw is, JetPack uses an iframe to pull the form. This might be the cause for lesser spam comments auto submission. Now I get around 50% reduced spam counts everyday (which is a lot, around 500 have been reduced). Now, we don’t need any plugin to integrate social network logins to the comment form. Using plugins required us to create some application on facebook etc and use the API. In most of the cases, this was not difficult, but still required some actions from us. With the JetPack, we get everything “in the box”. Just activate it and see your users commenting using their fb or twitter profiles. 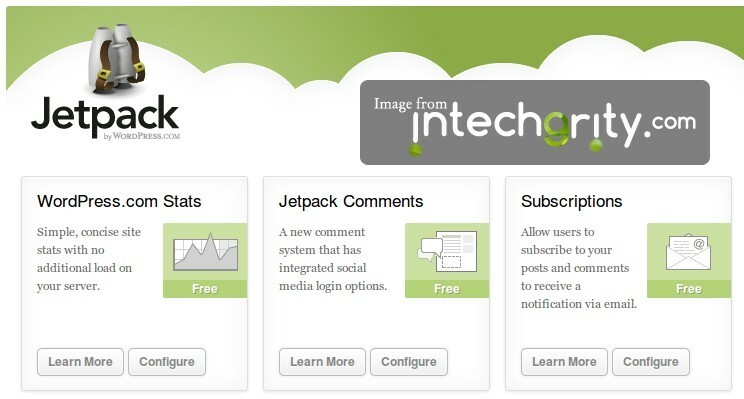 Integration with JetPack subscription manager. As said before, JetPack uses iframe to load the comment form. This requires a little overhead on the browser. But, then again, the request comes from wordpress.com server. So, the browser can load your site and the comment form in parallel. Also, when you submit the comment, it gets to the wordpress.com server first, and then redirects back to your site. In most cases, the redirection time being fast, this is negligible. But, users with slower Internet connection might find this a bit irritating. Again, as the form loads from other server, so it cuts down the third party plugin supports. Although it is a big question that, with inbuilt subscription and social integration, will you ever need any third party plugin? Well, think again. What about, for example, CommentLuv? So those were the pros and cons of JetPack commenting system we had noticed. 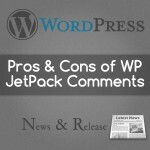 Personally I would’ve preferred, if JetPack came with non-iframe type support, which could alter the appearance of the comment form of your blog. But, then again, with so many possible CSS customization on various themes, it is really hard (or rather, simply, globally not possible) to change the appearance without having the blog administrator to tweak a few things at his own. 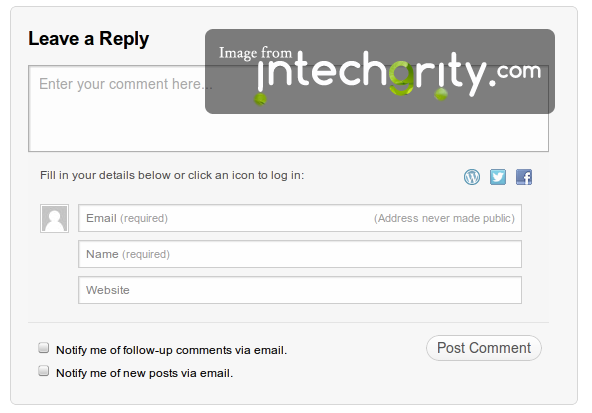 Whatever it is, as you can see, I have liked JetPack commenting system and I am using this on Intechgrity. Do you use the comment system from JetPack? or do you prefer sticking with default one? Do let us know in the comments. Thanks for this post, I’m playing with Jetpack right now and trialling the comments – I was going to go with Disqus but I’m a little wary of them. ….Just added jetpack to my site…thank you for the tip! And, for the first time, I see here on your blog obvious & amazing customized fonts, buttons, etc. !!! Despite what I see / read everywhere, i.e. it’s iframed, no CSS could change anything, etc., etc. Pleeeeeaassse, how did you do that ? What’s your trick !? I have checked your website. It seems the design of the comment section is what you are worried about, and the only way to improve it is asking the theme author. Thanks A LOT for your answer and having glanced at my under construction website (www.erwanlescop.fr) ! Thanks to your explanation, I actually checked that this design wasn’t linked at all to Jetpack but to the theme… So strange that so many support forums pertaining Jetpack don’t seperate things ! 2. You answered me that, moreover, you DID use css applying to the Jetpack plugin “for the positioning of the Cancel Reply button”… I thought it was impossible to apply css to this iframed plugin… ? Or did I misunderstood you ? Sorry for being so long ; any tips welcomed if you can ! Anyway, thanks a lot again. I think Jetpack comments is decent. The main issue is the incompatibility with IE8. The input labels do not disappear upon focus. I’m not sure if this is a bug or if they do not intend to support older browsers, but I consider this a gigantic flaw. I’m currently using Jetpack for it’s social share + comments system, but they are both fairly mediocre. I will gladly switch them out for something else if I find something better. Then you should try for disqus. It is a decent commenting system with all social sharing options.